Regardless of where you live, you can look up your home town or location and see facts on what may be in your local tap water. You can also find information on various water filters, how to choose one that will eliminate the toxins in your personal water supply. 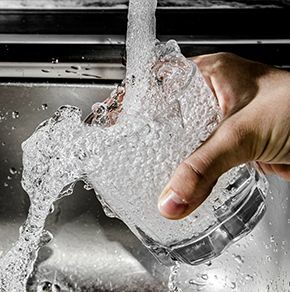 Many water filters will not cover all contaminants leaving you and your family exposed to carcinogens, bacteria, heavy metals, or other unwanted pollutants. The younger the child, the greater the risk. I looked up my new location and decided to order a Berkey Water System based on the information. I chose the Travel Berkey due to the size and flexibility for my new smaller cottage. I will pick up this new water filter from Just Bein’ Honest (JBH) on route to my new home. I chose 2 different filters for the container based on my local water supply. One of the filters is more specific to arsenic – a noted contaminant in my new locality. Do your homework and invest a good system and replacement filters. I have information about Berkey Filters on my resource page. If you have any water questions, I can help you find the perfect water system here. Just ask! Sally – Simply Fuel You Body… for Life!